"the current through a conductor between two points is directly proportional to the potential difference or voltage across the two points, and inversely proportional to the resistance between them". Download and print the Ohm's Law diagram! Currents, voltages and resistances in electric circuits may often be very small or very large - so multiples and submultiples are often used. 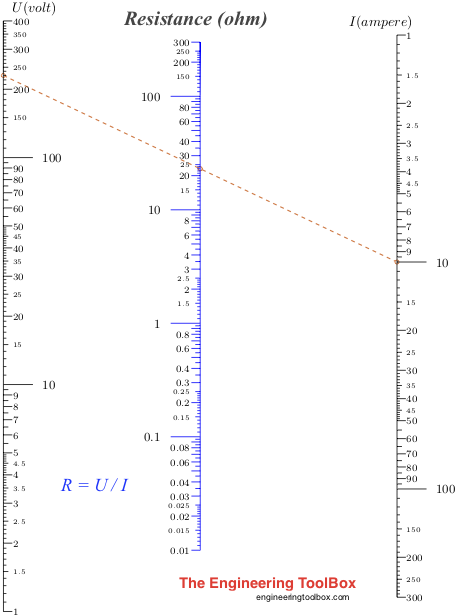 Download and print the Electric Resistance vs. volt and ampere nomogram! The default values in the nomogram above indicates 230 volts, resistance 24 ohm and current 10 amps. 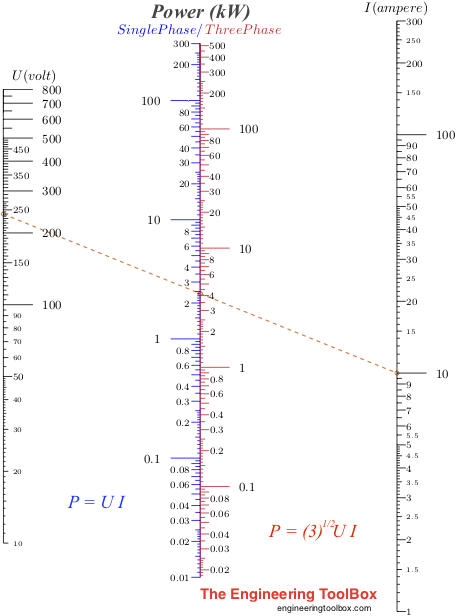 This nomogram can be used to estimate power vs. voltage and ampere. 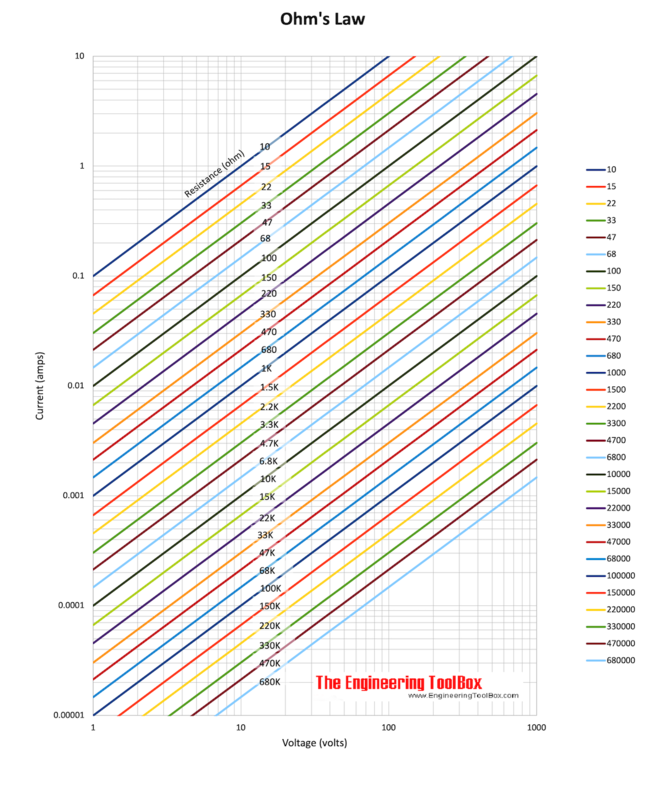 Download and print the Electric Power vs. volt and ampere nomogram! The default values in the nomogram above indicates 240 volts, resistance 10 amps and power 2.4 kW for DC or single phase AC - and 4 kW for three phase AC. Engineering ToolBox, (2010). Ohm's Law. 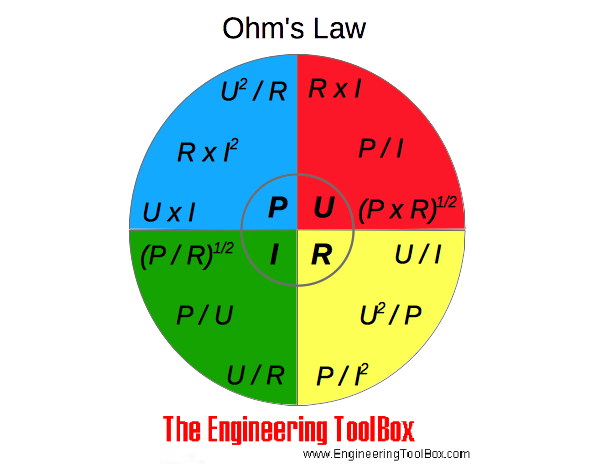 [online] Available at: https://www.engineeringtoolbox.com/ohms-law-d_1658.html [Accessed Day Mo. Year].